ServiceMaster of Victoria has been providing tile & grout cleaning services for a good number of years. 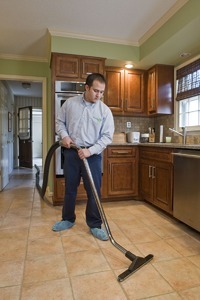 But many home and business owners are not aware that they can be cleaned, both efficiently and effectively. How is this done and how good will they look? Homes with carpet that also have ceramic tile entries or kitchens are able to be serviced at the same time the carpets are being cleaned. High powered carpet cleaning truck mounted equipment can also be used to clean the tiles efficiently and without a lot of mess. Hot, almost boiling, water along with ServiceMaster’s Green grease cutting solutions, break up soils in hard to reach indentations and grout lines, removing the soil and moisture with a specialized “indoor pressure washing” system. The results can be almost perfect, especially when compared to what the tile & grout used to look like. For more information or a no obligation quotation for cleaning your home or office, call ServiceMaster of Victoria at 250-384-3225 today!